Every Indian heart fills with pride when we see the National Flag spreading out on Republic Day. The day when the Indian Constitution came into force is year on year celebrated as our Republic Day. India is the largest democratic country of the world has lived up the spirit of being a Republic. The country where people from different cultures, societies, religions, languages celebrate this day together to recall the event of Indian constitution and inculcate the feeling of national pride. Every year, the Government of India declares a public holiday as India became a republic on this day. India became independent on August 15, 1947. India did not have a permanent constitution at this time. The drafting committee presented the constitution’s first draft to the national assembly on November 4, 1947. The national assembly signed the final English and Hindi language versions of the constitution on January 24, 1950. India’s constitution came into effect on Republic Day, January 26, 1950. This date was chosen as it was the anniversary of Purna Swaraj Day, which was held on January 26, 1930. The constitution gave India’s citizens the power to govern themselves by choosing their own government. Dr. Rajendra Prasad took oath as India’s first president at the Durbar Hall in the Government House, followed by a residential drive along a route to the Irwin Stadium, where he unfurled India’s national flag. Ever since the historic day, January 26 is celebrated with festivities and patriotic fervor across India. – The Constitution of India took around 2 years 11 months and 18 days to be drafted. The task of writing the Indian Constitution was given to a Drafting Committee that was lead by Dr. BR Ambedkar. – The Indian Constitution is the longest one to be written in the world. It has 444 articles divided into 22 parts and 12 schedules. Recently, 118 amendments were added to the Constitution. – Republic Day is a three-day affair which ends on 29th January with the Beating Retreat Ceremony. – During the Republic Day Parade, a Christian hymn, ‘Abide With Me’ is played. The hymn was a favorite of Mahatma Gandhi. 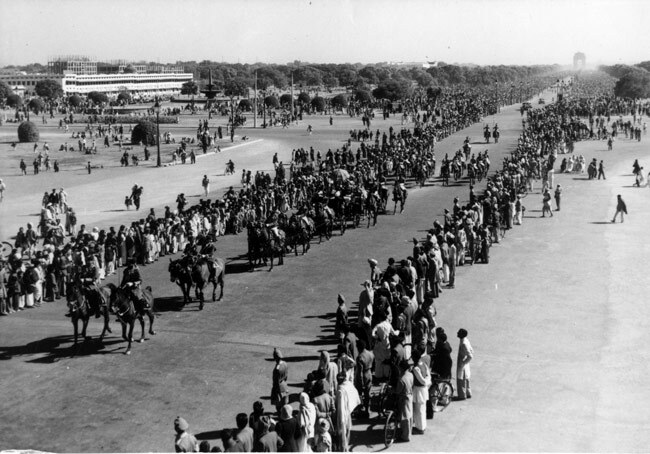 – Republic Day was first celebrated at Rajpath in the year 1955. – President Sukarno, the first Head of State of Indonesia was the Chief Guest for India’s first Republic Day. – ‘Jana GanaMana’, the National Anthem of India was adopted by the Constituent Assembly on January 24, 1950. – Awards such as the Kirti Chakra, Padma Awards, and Bharat Ratna are announced on the eve of Republic Day. These awards are then given out on Republic Day. This year India will celebrate the 70th Republic day since the year 1950. “Matamela Cyril Ramaphosa“, the fifth and current President of South Africa will be the Chief Guest on 70th Republic Day of India 2019. During the G20 summit, the honorable prime minister of India, Mr. Narendra Modi invited him to be the part of this auspicious day. This G20 summit was organized in Buenos Aires which is the capital of Argentina. The theme of this year’s republic day has been named “Gandhi”. As this Republic Day also mark the 150th birth anniversary of Mahatma Gandhi and the year long celebration will get started from Republic Day by paying tribute to him. 17 tableaux from states/Union Territories and 6 from the ministries have been shortlisted this year to be the part of the celebrations . This year, Indian Air Force will be flying an aircraft which will run by blended bio-fuel . National War Memorial near the India Gate, New Delhi will be inaugurated by the Prime Minister Narendra Modi on Republic Day to honour the soldiers who have sacrificed their lives for the country since independence Also, this will be the first time that a woman officer would be leading the Army Services Corps in the 2019 Republic Day parade. The Daredevils Motorcycle Team will also include a women officer in their team this year. Moreover , More than 600 school children to perform in the national capital. The Republic Day Parade is a ticketed event and the sale for the tickets begin a couple of weeks before the main event. They are mostly available from 7th to 25th January at the Departmental Sales Counters at many locations. Jamnagar House (opposite India Gate). PragatiMaidan (Gate 1 at Bhairon Road). Red Fort (inside August 15 Park and opposite Jain Temple). Republic Day is an important event in India’s history Let’s take a moment to salute the grand constitution of our country, celebrate it with respect and love for the nation. How to Make Homemade Vanilla Extract ?